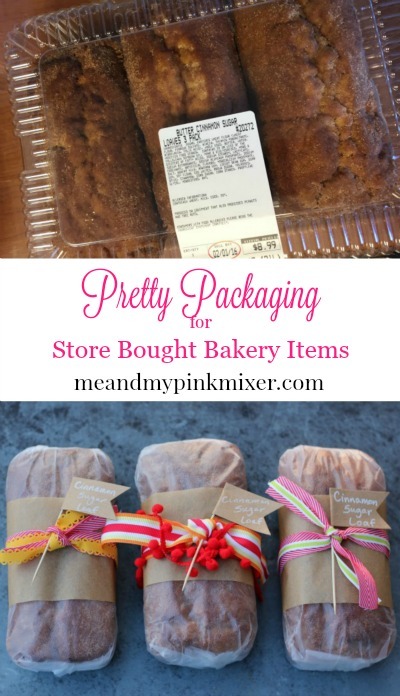 turn store bought baked goods into pretty packages that anyone would love to receive. 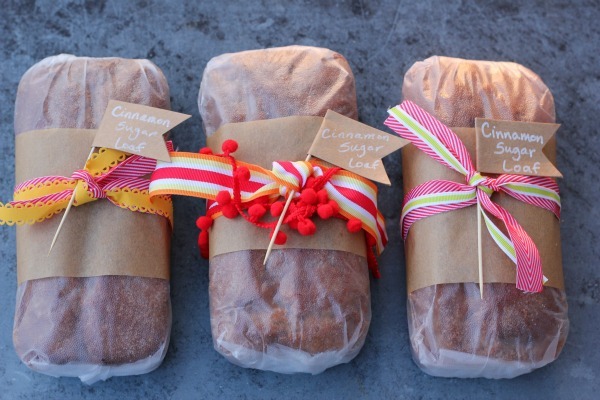 cinnamon sugar cake loaves went from brown and boring to super cute! 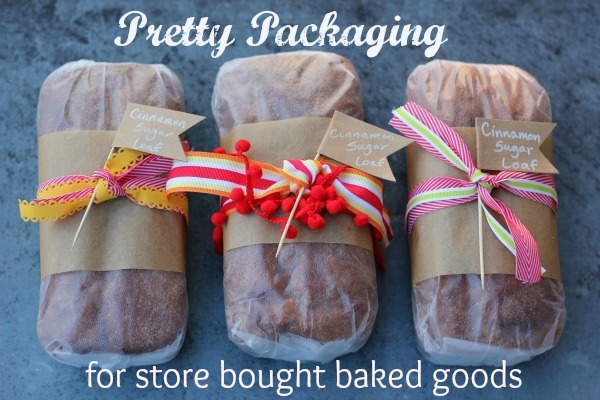 piece of brown parchment paper around each loaf, securing it with a piece of Washi tape. Pretty ribbon and a cute little flag label are the finishing touches. So cute! You can find the ribbon, flags and chalk pens in the party section of Target. 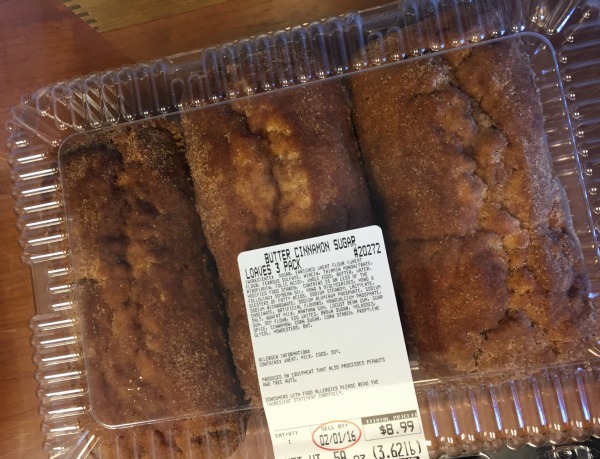 The Cinnamon Sugar Loaves are in the bakery section of Costco.